When the ancients said a work well begun was half done, they meant to impress the importance of always endeavoring to make a good beginning. Do not consider it proof just because it is written in books, for a liar who will deceive with his tongue will not hesitate to do the same with his pen. We now have access to so much information that we can find support for any prejudice or opinion. If you hear the dogs, keep going. If you see the torches in the woods, keep going. If there’s shouting after you, keep going. Don’t ever stop. Keep going. If you want a taste of freedom, keep going. It is true greatness to have in one the frailty of a man and the security of a god. Love is the affinity which links and draws together the elements of the world… Love, in fact, is the agent of universal synthesis. Dream as if you’ll live forever. Live as if you’ll die tomorrow. Thank you for leaving us alone but giving us enough attention to boost our egos. You must not pity me because my sixtieth year finds me still astonished. To be astonished is one of the surest ways of not growing old too quickly. When the press is the echo of sages and reformers, it works well; when it is the echo of turbulent cynics, it merely feeds political excitement. I have all reverence for principles which grow out of sentiments; but as to sentiments which grow out of principles, you shall scarcely build a house of cards thereon. The only lies for which we are truly punished are those we tell ourselves. Silence is one great art of conversation. A legal kiss is never as good as a stolen one. Written Communication Tips #2: British English or American English? 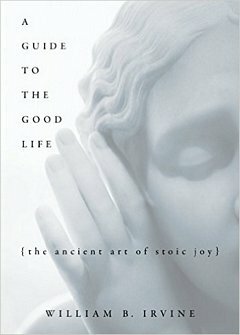 Philosophy professor William Irvine's practical handbook includes actionable advice for self-improvement by applying the ancient stoic wisdom to contemporary life.